While it’s known that hundreds of genes can become faulty and fuel growing cancers, around half of the faults found in the study were in genes that haven’t yet been linked to cancer. Stratton said these genes will be the target of future studies. We were surprised by the number of papers originating from countries with well-established research cultures. The number of papers citing cell lines that are known to be wrong is increasing – perhaps not as a percentage of all scientific papers, but it sure isn’t going down, despite numerous warnings and exhortations. The overall prevalence of mammography use was 80.0%, whereas nonuse was 20.0% and underuse 27.3% among users. Though the benefit of nivolumab was relatively modest overall, “we haven’t had anything give us this kind of response [in advanced liver cancer], so, to a liver doctor, this is a success,” said Dr. Iyer, who was not involved with the trial. Using its preferred metric, incremental cost-effectiveness ratio (ICER), the body determined that Opdivo would cost the NHS a base-case £54,220 ($71,446) per quality adjusted life year (QALY) that the medication provides over treatment with chemotherapy med docetaxel and £46,209 ($60,890) per QALY versus paclitaxel. NICE argues that based on the available evidence, it is difficult to establish the magnitude of the clinical benefit for Opdivo compared with current clinical practice, given that the drug has not been compared with existing therapies in studies. Potential to offer a new treatment option for patients with germline BRCA-mutated, HER2-negative metastatic breast cancer. 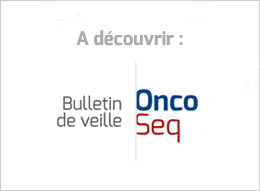 First targeted combination therapy to demonstrate a clinical benefit in patients with a BRAF V600E/K mutation in the adjuvant setting. Actions address specific challenges identified by stakeholders. Over 3,000 clinical documents published, 3,600 registered users and positive stakeholder feedback. The FDA issued a flurry of product-specific recommendations, providing guidance for companies looking to develop generic versions of a number of popular medicines, including Mylan’s EpiPen (epinephrine) alternative Adrenaclick, Novartis’ cancer treatment Afinitor (everolimus) and AstraZeneca’s cancer treatment Lynparza (olaparib). The decision relates to advanced differentiated thyroid cancer that has spread to other parts of the body and cannot be operated on, in adults whose disease does not respond to radioactive iodine. Pfizer denied the drug costs £1 per pill. It told the BBC that it took more than 20 years to build on the work of the Cancer Research UK scientists. Turning scientific discoveries into medicines takes "billions of pounds of investment, millions of hours of science and thousands of clinical trials," the firm explained. "Patients used to feel like 'more is better,' " said Daniel Wolfson, executive vice president of the ABIM Foundation. "But sometimes less is more. Changing that mindset is a major victory." How a support network—and a special bond with his doctor—helped a 22-year-old med student fight lymphoma. Last month, a billionaire couple, Susan and Henry Samueli, announced a $200 million gift to UC-Irvine to found the Susan and Henry Samueli College of Health Sciences, which will be devoted to integrative medicine and studying “unconventional” treatments. Its founders promise that it will be rigorously science-based in articles in a large, glossy magazine. There are many reasons for doubts about this claim. Open Access (OA) publishing is continuing to grow. Based on our most recent research and analysis, Delta Think estimates the OA market at approximately $470M in 2016, up from $390M in 2015. It is also no secret that OA volume as a percentage of total market volume (estimated at 20-22%) is much higher than OA revenue as a percentage of total market revenue (4-9%). This requirement, which is not new, is not to improve patient care. It is a requirement imposed by the Joint Commission, which certifies that a hospital is complying with all rules and regulations. Rationing treatment to smokers and the overweight will inevitably mean that it is those who are poorest who have their access most impeded. The ruling by Los Angeles Superior Court Judge Maren Nelson marked the latest setback facing women and family members who accuse J&J of not adequately warning consumers about the cancer risks of its talc-based products.